Disclosure: I received a free copy of this book from the author to review. This post may contain Amazon affiliate links. I receive a very small commission if you purchase something through an affiliate link with no additional cost to you. 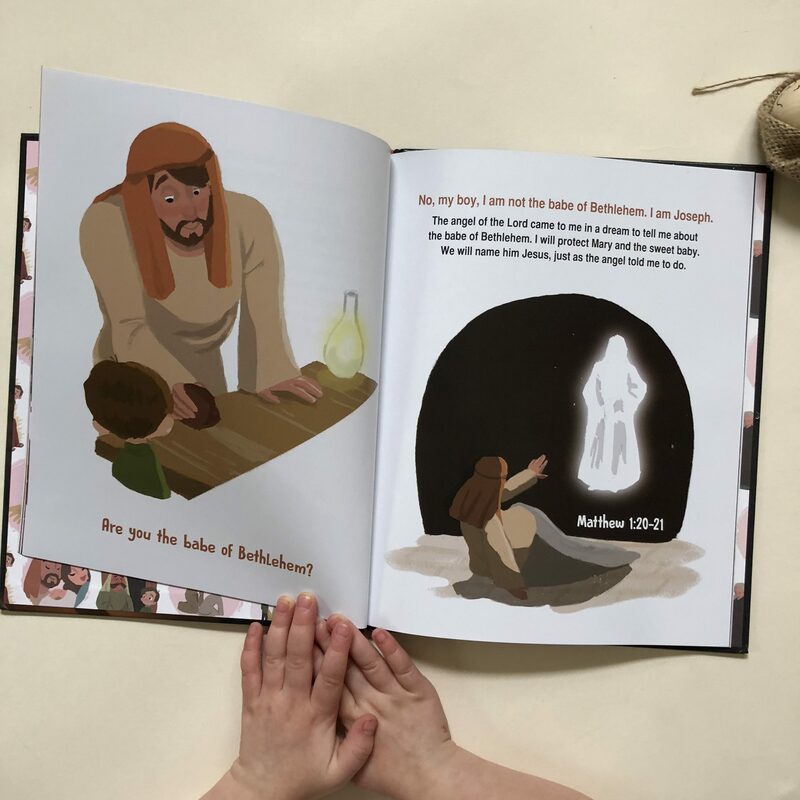 I am always looking for quality Christmas books, and especially books that help focus on the true reason behind the season, so I was excited to receive this book to review! The author also sent the supplies to make star sugar cookies which we enjoyed making together. That would be a great extension activity for anyone reading the book as well! 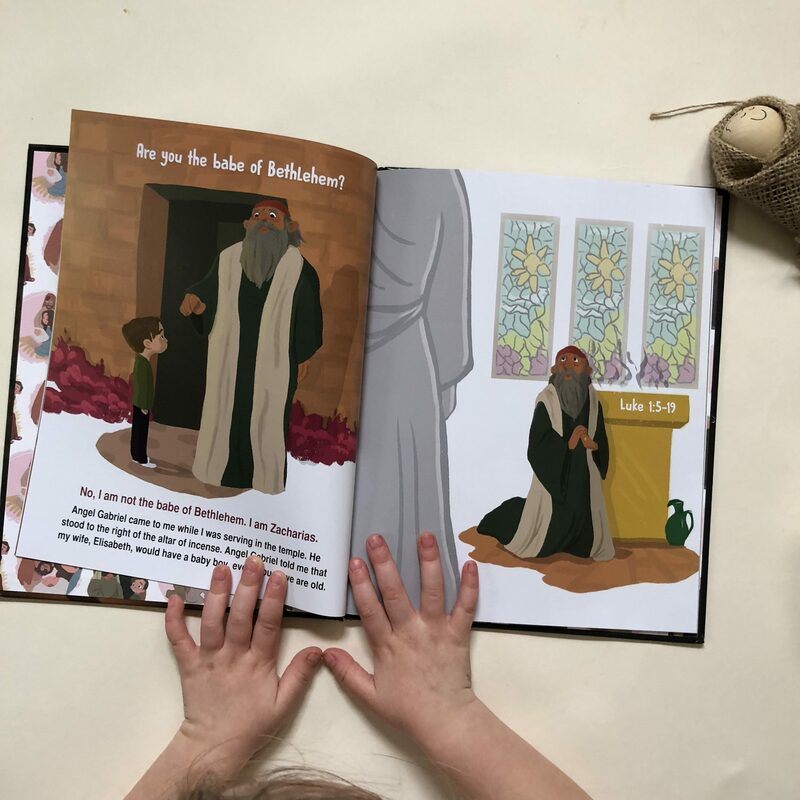 This non-denominational picture book follows a little boy as he is seeking the “babe in Bethlehem” and asks various people in the nativity story if it is them. The pattern repeats as the boy learns who each of the people really are and what their significance to the story is, until finally he finds Christ. The end of the book is touching to see their interaction. It is fairly long for young readers, but I really like how the book is easily adaptable for the age and level of the person reading. If you are reading with a toddler you could just read the main highlighted text and still have an impactful story. If you are reading with a bit older child you could read the full paragraph on each page. And if you have a reader able to handle more, there are scripture passages included which tell more about the featured individual. 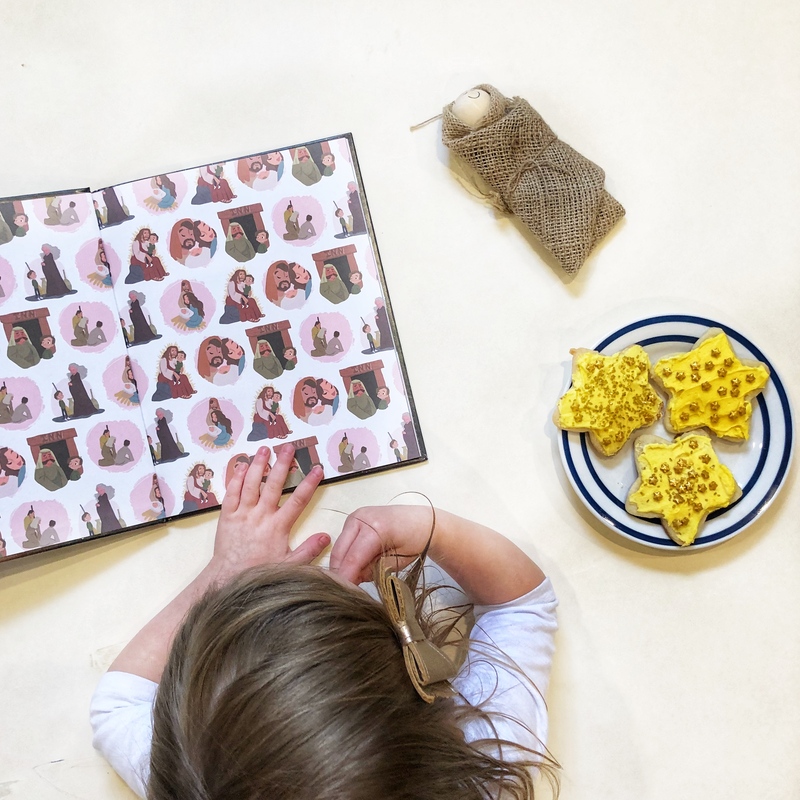 I also think you could break up the book to learn about one or a couple individuals each night as part of a family learning time. The illustrations are darling and add so much to the sweet text. The author has offered to give away a copy of the book to one lucky reader. Please fill out the form below to enter.